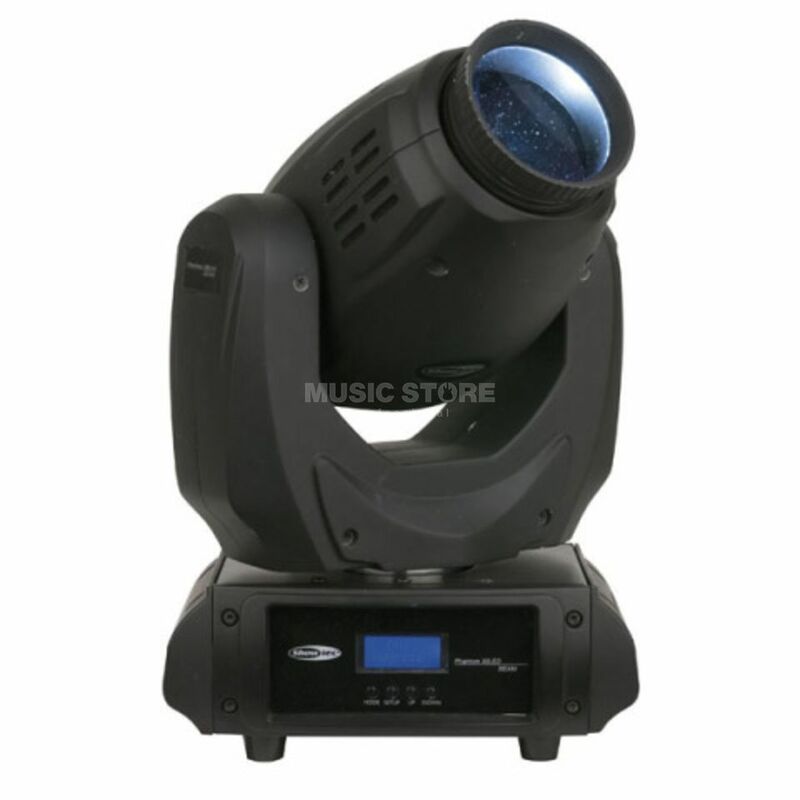 The Showtec Phantom 30 LED Beam is a compact and powerful beam moving head. It has a big fully illuminated 8° lens with a fat beam output. However the Phantom 30 is basic in functionality it has a selection of 13 special gobo designs to make beautiful beam effects without expansive functionality's like prisms or zoom effects. It also has a dichroic wheel with 7 colors and white. The Showtec Phantom 30 LED Beam can be used stand alone with the built-in programs and master slave functionality or get in control with 7 or 10 DMX channels.